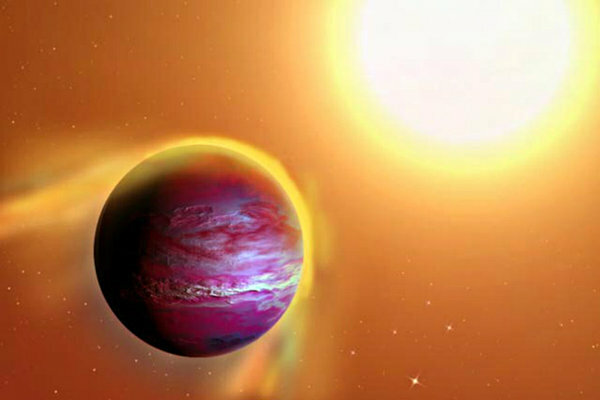 The exoplanet is slowly being destroyed due to the tight and quick orbit around its sun. An exoplanet discovered only a few years ago by astronomers is in trouble. PTFO8-8695b or ‘hot Jupiter’ is relatively young at only 2 million years old but it is already suffering from the effects of its sun which is currently stripping away at its gaseous atmosphere. The reason is its orbit which only takes 11 hours and allows the exoplanet to come exceptionally close to its star. At the time of discovering PTFO8-8695b, Johns-Krull and his team were unsure of what they found but on closer inspection and with a year’s data in one night – since its year is only 11 Earth hours – believe that this could be a very young planet. The fate of the baby planet is currently unknown. While observations are being carried out, they know it’s being slowly destroyed but are unsure how long it will take. The research, conducted at the University of Texas at Austin’s McDonald and Kitt Peak National Observatories, is to be published in The Astrophysical Journal.